Amy Grant's sugar-soaked 1991 gem Baby,Baby has been amped up and reimagined for the singer's first-ever album of remixes. 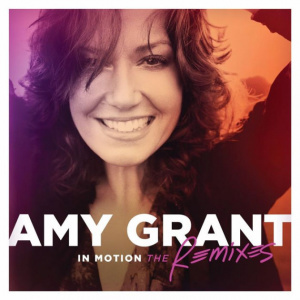 In Motion: The Remixes includes other Amy Grant pop classics like That's What Love Is For and Every Heartbeat. "I never could have anticipated that these songs from an earlier chapter in my life could be filled with such renewed energy and fresh production," Amy said. Producers on board for the project include Chris Cox, Tony Moran, Moto Blanco, 7th Heaven and Dave Aude, who took on Baby, Baby, Amy Grant's signature pop hit. "I am humbled and honoured that these amazingly talented producers have lent their gifts to my songs," she said. "They have given me reason to want to get up and dance again!" Amy Grant in Motion: The Remixes CD by Amy Grant was published by Integrity in September 2014 and is our 20323rd best seller. The ISBN for Amy Grant in Motion: The Remixes CD is 0602537471416. Be the first to review Amy Grant in Motion: The Remixes CD! Got a question? No problem! Just click here to ask us about Amy Grant in Motion: The Remixes CD.